Tracy Purdy is the Director of Online Learning for the EdTechTeam. 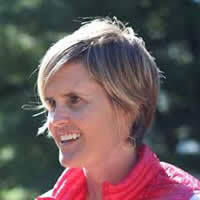 Previously she was a Digital Learning Specialist for the Elementary Schools at Edina Public Schools in Minnesota. She also has twelve years of experience teaching both fourth and sixth grade in Colorado and Minnesota respectively. Ms. Purdy implemented her district’s first one-to-one Chromebook classroom and has participated and presented at numerous educational technology conferences. Ms. Purdy has her B.A. and M.A. in elementary education and is also a Google Certified Innovator and Trainer and and Apple Teacher. In her spare time, she can be found alpine skiing in Colorado, and enjoying Minnesota’s numerous lakes with her husband and 2 sons.